interested in your services and products. for your direct mailing campaigns. 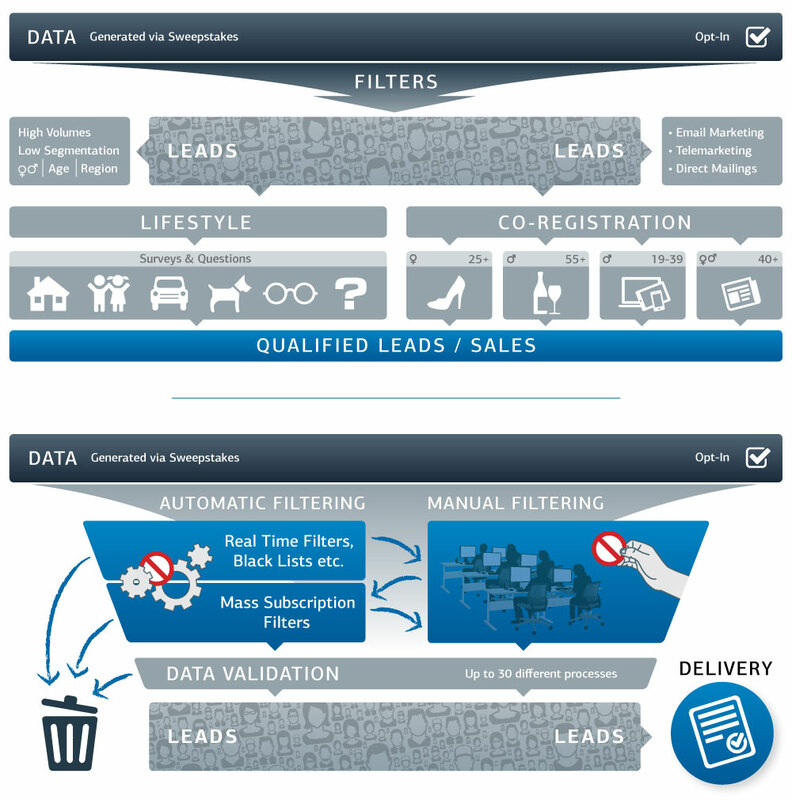 From the data source to the data delivery, everything matters to provide the best lead generation. We carefully select our sources and evaluate them on quality and performance perspective. Are you interested in acquiring more customers? hearing from you. Or sign up to our Newsletter now! Currently we operate in 29 countries, providing over 1000 clients with high converting B2C leads to increase their sales. More than 200 employees worldwide make it possible and provide our clients with an excellent customer service, innovation, pro-active advice and energy to make any direct marketing campaign succeed. Our commitment to premium quality, the highest reliability and the respect of the national and international standards has been and is part of our culture and company philosophy. BECOME PART OF OUR ONGOING GROWTH!